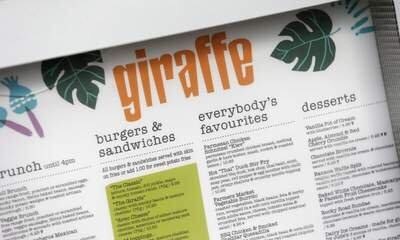 The tycoon who owns the Harry Ramsden’s restaurants will add to his portfolio of casual dining chains this week by snapping up Giraffe from the UK’s biggest retailer. Sky News understands that Boparan Ventures, the private investment vehicle of Ranjit Boparan, a wealthy entrepreneur, is the mystery buyer who has agreed to acquire Giraffe from Tesco (Xetra: 852647 – news) . The deal is expected to be announced on Thursday. Boparan Ventures, which also owns Fishworks, a London-based chain, is understood to be paying Tesco a modest sum for Giraffe, which was loss-making last year. Boparan also owns the upmarket Indian restaurant in London’s Westminster, The Cinnamon Club. Mr Boparan is best-known as the controlling shareholder of 2 Sisters Food Group, which is Britain’s biggest chicken supplier and the owner of Goodfella’s Pizzas. The announcement of Boparan Ventures’ takeover of Giraffe is understood to be planned alongside the sale of Tesco’s interests in Turkey, revealed by Sky News on Tuesday. The grocer’s disposal of Kipa will mark a further stage in its international retrenchment following the sale or closure of its operations in China, South Korea and the US. Migros, another Turkish-owned retailer, is said to be the buyer of Kipa, which Tesco acquired in 2003. While they will represent another important step in Mr Lewis’s efforts to tidy up Tesco’s sprawling portfolio of businesses, they will not be material from a financial perspective, insiders said. Tesco is likely to sell the Turkish business for “a couple of hundred million pounds”, one analyst suggested on Tuesday night, while Giraffe would be “all but given away”. Many of the assets being sold by Dave Lewis, Tesco’s chief executive, were acquired by his two most recent predecessors: Sir Terry Leahy and Philip Clarke, who wanted to diversify the retailer’s appeal and geographical reach in an attempt to emulate global peers such as Wal-Mart. Tesco’s other international operations, in markets such as Hungary, Poland and Thailand, are not on the auction block. Giraffe was bought by Tesco from a private equity firm headed by Luke Johnson, arguably Britain’s most successful restaurant investor. Mr Lewis also wants to sell peripheral businesses including Harris (Stuttgart: HRS.SG – news) + Hoole, the chain of coffee shops, and Dobbies, the garden centres business. Posted on June 9, 2016, in #international, #retail, #uk. Bookmark the permalink. Leave a comment.